Ready April 2019. Call Mason Main Home Today! MLS#6515915. The Providence Group Realty, Llc..
Community Trails, Dog Park & Gathering Pavilion/Firepit. MLS#6514746. United Country - Talking Rock Realty. Location Location Location, Minutes From The Shops & Dining In Wdstk. Ready April 2019 MLS#6515908. The Providence Group Realty, Llc..
Home Has Master On Main W/ Huge Family Room, Kitchen Has Huge Breakfast Room, 2 Oversized Bedrooms On Second Level W/ Full Bath, Seperate Wkshop 24 X 24 W/ Elec, Air & Heat, Above Ground Newer Pool W/ Brand New Hot Tub, Chicken Coop On Property For Storage Needs Work, Home Sold As Is, Lots Of Opportunities For This Property, Creek Runs Down The Middle Of The Property, Zoned R80 And Animals Are Ready To Enjoy This Huge Pasture! 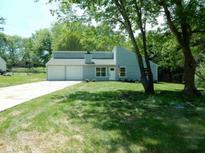 MLS#8535437. Realty One Group Edge. 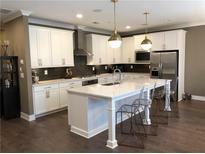 *New Appliances In The Kitchen And Attic Flooring Installed For Extra Storage Space. New Roof MLS#6512663. Harry Norman Realtors. Enjoy Coffee On Large Front Porch. Gps 122 Dupree Rd. MLS#6510378. Engel & Volkers Atlanta North Fulton. All Baths Boasts Granite & Tile! Gps 122 Dupree Rd. MLS#6510347. Engel & Volkers Atlanta North Fulton. Closings Are Held At Mcmichael And Gray Pc MLS#6509434. Red Barn Real Estate,Llc.. This Home Can Close In 30 Days! MLS#6508458. Beazer Realty Corp.. This Home Can Close In 30 Days...Hurry, It Won'T Last Long! MLS#6508436. Beazer Realty Corp.. Hurry, This Home Won'T Last Long! MLS#6508413. Beazer Realty Corp.. Closings Are Held At Mcmichael And Gray Pc MLS#6508563. Red Barn Real Estate,Llc.. Hurry, This Home Won'T Last Long! MLS#6506032. Beazer Realty Corp..
Don'T Miss Out On This Opportunity To Purchase On This Property! MLS#6128882. Atlanta Communities. 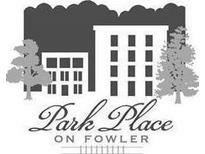 Gps Address Is 678 Mountain Park Road, Woodstock, Ga. MLS#8526958. Beazer Realty Corp..
Ready Now. Move Right In.New Construction MLS#6502385. The Providence Group Realty, Llc..
3rd Car Garage,Top Schools / Location/ 100% Financing/Closing Cost! 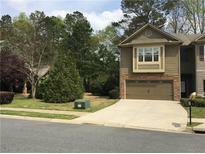 MLS#8521440. Era Alco Realty. Ready March/April 2019. Call Mason Main Home Today! MLS#6502470. The Providence Group Realty, Llc..
Ready March/April 2019. Call Mason Main Home Today! MLS#6502495. The Providence Group Realty, Llc..
Orchards Of East Cherokee - Great Community In "Hot" Hickory Flat! MLS#6502475. Solid Source Realty, Inc.. 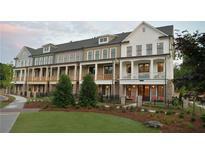 The Glens At Mountain Brook - Community Club House, Fitness Room, Pool, Walking Trails And Security Gate. Great Location. MLS#6129576. Harry Norman Realtors. Great Pool & Clubhouse & A Wading Pool For Couples With Small Children. MLS#6128629. Relocal Home Real Estate Services. 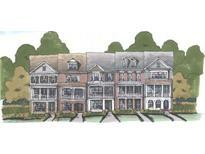 Stoney Creek - Come See It Before It Is Gone! MLS#6127693. Century 21 Results. One Of The Largest Lots In The Subdivision. Don'T Miss This Beautiful Home! 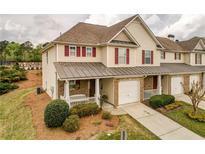 MLS#8518225. Keller Williams Rlty Cityside. Downtown Woodstock - Community Has Salt Water Pool W/Shaded Cabana, Grill Areas, Playgrounds, Stone Fire Pit, Parks, Stage For Concerts, Etc... Walkable To Fabulous Restaurants, Free Concerts, Shopping, Greenprint Trails And More!! Great Place To Live MLS#6124189. Atlanta Communities.